Improv, stand-up, & sketch comedy shows added all of the time! 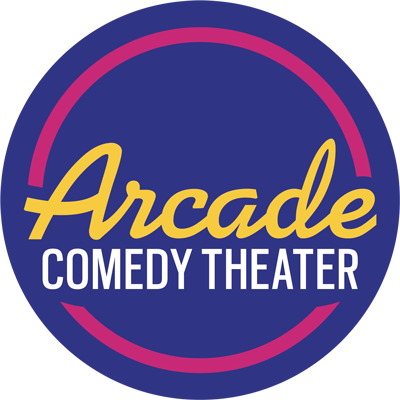 Arcade Comedy Theater, founded in 2013, is dedicated to making the Pittsburgh community better through comedy. We feature at least six shows every weekend, comedy classes, family shows, and special events. Plus, we’re BYOB, have free video games in the lobby, and our theaters are accessible. Most importantly: we’re really funny. Next Round of Classes On Sale! Spend three hours a night having fun, being goofy, and meeting new people. Arcade Comedy Theater’s classes in improv, stand-up, and sketch writing are the perfect release after a long day doing… stuff other than comedy! What are you waiting for? Have fun! Registration is now open for our next round of classes starting May 5! Arcade Comedy Theater is Pittsburgh’s only non-profit theater dedicated to comedy, and every dollar you give helps the community stay a positive, funny place. All funds will be used to continue our Arcade Upgrade, enabling us to expand our programming, create more opportunities for a more diverse group of artists, and continue to keep ticket prices affordable for everyone in Pittsburgh. Thank you again, from all of us at Arcade Comedy Theater. Penny Arcade is a comedy show designed for kids ages 5-12 years old, but fun for all ages. Performed on the 2nd and 4th Saturdays every month at 1PM, it’s the city’s only kid-centric improvised comedy show. Tickets start at just $5! Every 3rd Thursday of the month, Arcade is offering a brand new way to play: Improv Pop-Up Night! If you’ve always thought about trying improvisational comedy, but weren’t sure about signing up for a full-blown class, this is your night. For $20, you get a two-hour beginner’s workshop, some free boxed wine, and a ticket to the 8pm show that night at the Arcade! Buy gift certificates for shows or classes! Give the gift of comedy! More enjoyable than an Olive Garden gift card, Arcade is now selling gift certificates good for general admission tickets or 8-week classes. Never be afraid of missing out again! Sign up for the Arcade’s weekly newsletter and hear all about upcoming shows, classes, and other announcements. We won’t spam you — just send you a steady amount of joy.